Time zone differences can make contacting customers about their invoices or their orders difficult. Language can get in the way of properly expressing yourself. Local business and economic conditions can slow down payment of invoices. Currency exchanges can cut into the profitability of your sales. One of the ways that you can solve some of these problems is to use invoice factoring. When factoring invoices from overseas customers, you can increase your available capital, as well as cut down on the hassles associated with running an international business. As with regular invoice factoring, you receive a cash advance based on how much a customer owes you. You give the invoice to the factoring service, and the company pays you upfront for it. The factoring service then makes all of the arrangements for the payment of the invoice, and collects on the invoice. You send your goods to your customer as usual, and issue an invoice. You give the invoice to the factoring service. The factoring service gives you a cash advance, based on how much the customer owes you according to the invoice. This amount is usually less a flat fee for the factoring service and less a percentage held back as a reserve for just in case the customer does not pay. The factoring service arranges for the payment of the invoice from the overseas customer. This usually includes all expenses in the country of origin, as well as managing customer relations. Once the overseas customer pays the bill, you receive the rest of the reserve money back. You will not receive the fee back, since this is how the factoring service company makes its money. Get your capital faster. Invoice factoring eases strains on your cash flow. Instead of waiting for overseas customers to pay their invoices, you can receive that money up front. This means that you can buy additional materials, increase your inventory and handle other expenses (like payroll and facilities). Facilitate more overseas transactions. 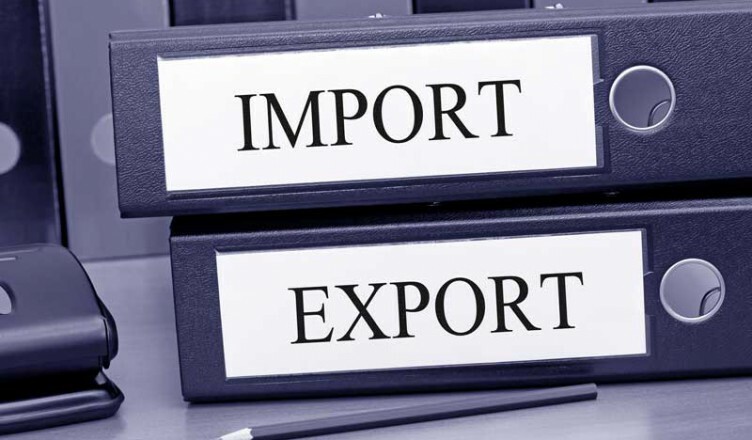 If you want to expand your export/import business, it can help to have an invoice factoring service helping you. The factoring service takes care of much of the payment end of things, and this means that you are free to concentrate on expanding into more international markets. Do not have to worry about bank financing. Instead of having the stress of obtaining a bank loan to fund your business expenses, you can get a form of financing that is not considered debt. This leaves you free down the road, just in case you need to apply for a loan. Additionally, if you are worried about being approved, this can alleviate some of that stress. Many invoice factoring services are better equipped to deal with local issues. In many cases, an invoice factoring company will have local contacts and representatives that can do what is needed. Invoice factoring services facilitate currency exchanges, and usually have people that can speak the local language. This can save you hours – since someone else is dealing with the local issues that may come up. Reduced risk to you. For some import and export companies, it can be a risk doing business. Finding out about your customers’ credit is difficult, and if you make a mistake, you either have to take the loss or spend hours and dollars trying to track down payment. If you get a non-recourse factoring agreement, the factoring service is responsible for receiving the payment. It no longer becomes an issue for you. It is possible to keep your cash flow moving and buy the things you need for your business when you engage in invoice factoring.